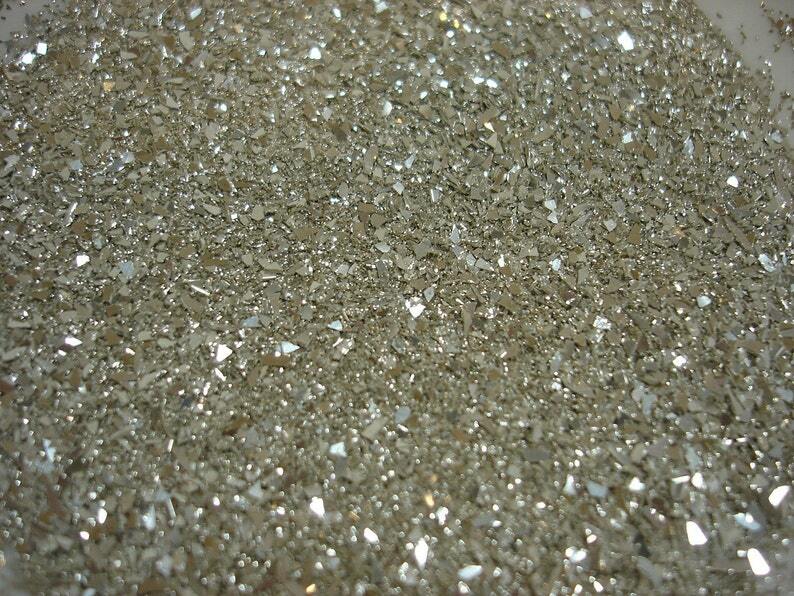 Authentic German Glass Glitter for all your crafting needs. Glitter will have a beautiful patina as it ages to give it that authentic vintage look. Silver Fusion - 1-oz Package which equals 3 - 4 teaspoonfuls. Pretty! Can't wait to use it. This item is more beautiful in my face as on the site, will be ordering more, also came with samples, thank you .